This is a recipe for a homemade mask made with yogurt and oatmeal that is not only easy and inexpensive to make, but can help fight blackheads. Blackheads are imperfections in the skin that are produced by the dilation of pores. This causes the accumulation of the remains of oil and dead cells. Luckily, you can fight blackheads with a homemade mask made of yogurt and oatmeal. Blackheads tend to form in what is known as she “T-zone” of the face. This refers to the forehead, the nose, and the chin. The principal cause is hormonal. However, they can also be caused by inappropriate skin care, poor diet, and the use of certain chemicals. Even though blackheads don’t indicate any serious health problems, their appearance is considered unattractive. Most people say that they give the face an unclean look. The good news is that they can be treated effectively, since some ingredients can clean the skin deeply. Others might reduce the size of the pores, at least temporarily. Although there are commercial blackhead solutions, there are also healthy alternatives. such as yogurt and oatmeal, that, made into the form of a mask, help to solve the problem in a short time. In this article, we share the benefits of this natural solution as well as the recipe for making it at home with a few simple steps. Even though there are many products on the market to eliminate blackheads, there are also low-cost natural methods that offer the same benefits. Here we have a natural yogurt and oatmeal mask. Experts recommend it for its exfoliant, antibacterial, and antioxidant properties. 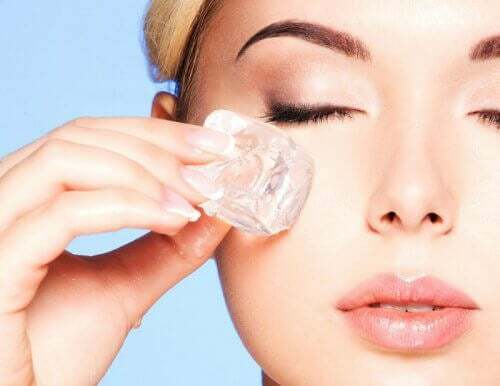 These two ingredients can may be able to improve the appearance of your skin by removing the remains of oil and dead cells that cause these imperfections. 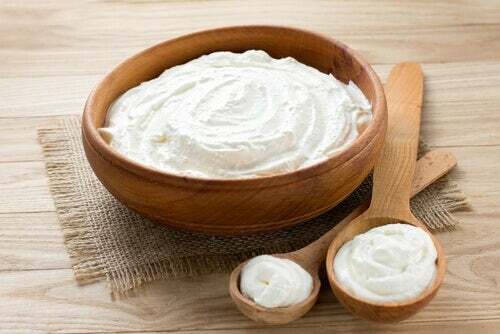 Yogurt is a popular natural alternative product that beautifies the skin without causing undesired reactions. • Rich in vitamins, minerals and antioxidant compounds, yogurt is helpful in arresting the effects of oxidation stress and toxins. • It provides large quantities of lactic acid. This substance cleans the surface of the skin. This facilitates the elimination of dead cells, spots, and acne. • This substance regulates the natural pH of the skin, which may protect the skin. • It contributes live cultures or healthy bacteria that, when absorbed, can help fight bacteria and fungi. • Its regular use prevents premature aging and helps to keep the skin soft and hydrated. 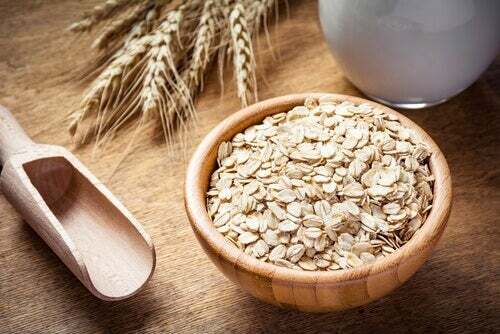 For centuries, oatmeal has been used as a natural cosmetic that helps to improve skin health. It’s even effective for sensitive skin. • This ingredient easily absorbs natural moisture and helps retain. • It contains fatty acids and essential amino acids that, together, hydrate and regenerate the skin to keep it looking younger. • It acts as a natural anti-inflammatory substance ideal for reducing blemishes, redness, and other symptoms of allergies. • This mask includes cleaning agents such as saponin, an ingredient in soaps. Some say it can remove dead cells and can help fight blackheads. • It has qualities that might help the skin heal. • Its external application minimizes spots and helps maintain a more uniform skin tone. 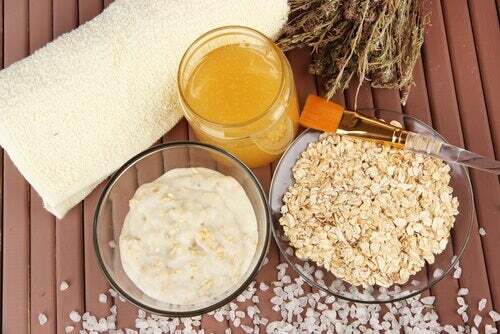 The yogurt and oatmeal mask is a natural formula which is easy to prepare. Different from commercial products, it doesn’t cost much and doesn’t cause unwanted side effects. In addition to its ability to fight blackheads, it also hydrates the skin and leaves it looking fresh. • Mix the oatmeal, yogurt, and honey in a bowl. • Wash your face with hot water in order to open the clogged pores so that the skin can absorb the ingredients well. • Apply the mask, covering the areas with blackheads completely. • Leave this on your face for 20 minutes and then make gentle circular movements to exfoliate. • Remove the excess with warm water and dry well. • Use 2 or 3 times a week to obtain good results. Do you have blackheads? If you haven’t been able to eliminate them, prepare this homemade mask. You may just find that you don’t have to spend a lot of money to fight blackheads. If you do this, use this solution regularly for lasting results.